We work with a talented group of designers, architects, engineers and a great team of professionals that help us visualize any project with our clients, far before we break ground. Design is a very important part of our process and we believe it’s the only way to ensure our client can visually see the future project, and our team is seeing it exactly how you want it to be delivered. We will walk you through every step of this Design stage. Licensed & Insured, we are local builders that offer a unique skill set and a team of professionals to finish your New Construction. We strive to deliver NOTHING but the BEST. Our team works vigorously to ensure your project is delivered on time and exceed your expectations. 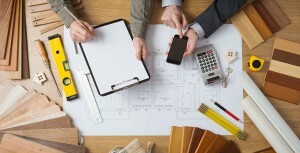 We have great relationships with the local building departments to ensure we can get your permits pushed through and approved so we can start building. The homes we build and design are state of the art, using the latest LEAD sustainable practices, and cutting edge technology to develop a truly smart home that is also efficient. Using the latest building requirements for South Florida, we build the strongest, most efficient homes on the market. We believe that when we build a new home for our clients, it is our mark we are leaving for the world to see, and we will ensure that it will impress for years to come! We stand behind our work and always see each project through until the very end. While we love to build new homes for our clients, a LARGE part of our business is Remodels. We have helped several clients that wanted a new home, but loved an older, not so nice home location, and we completely transformed it into their dream home! In addition to renovations and remodels, David and Ivana were given a reality TV Show recently on A&E Networks and FYI called Flip Wars for their expertise in ‘Flipping Homes’ here in South FLorida. We work with clients / investors that want to do projects with us in this respect. Our sister company Beachfront Properties works to find deals every week, that we make offers on. 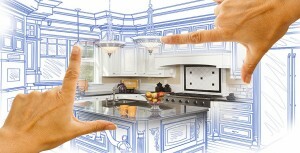 Then our team here at Beachfront Builders does all the renovations and we sell for a profit. We have had great success with clients, averaging between 10-20% ROI in a few short months. Please Contact Us with any questions or if you’d like us to come give you an estimate on your project!